This remote and unspoiled monument is a geologic treasure, containing Vermilion Cliffs, Paria Canyon, Paria Plateau and Coyote Buttes. There are no paved roads within the monument. Elevations range from 3,100 to 6,500 feet. This is one of fifteen National Monuments maintained by the Bureau of Land Management, not the National Parks Service. Vermilion Cliffs NM was established by Presidential Proclamation in 2000, to protect these lands to the north and east of Kaibab National Forest, west of the Navajo Indian Reservation and Glen Canyon National Recreation Area, and south of Grand Staircase-Escalante National Monument in Utah. Even though it's a National Monument, preexisting livestock grazing, water rights, and hunting rights should not be affected. Included in the Monument border also are state lands and private property. 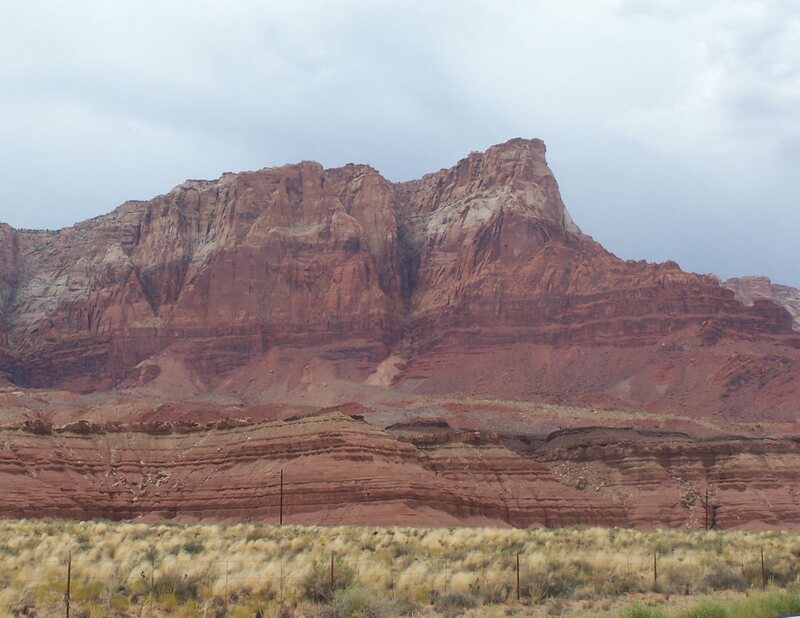 There's plenty of hiking available in the Monument, but permits are required for hikes in Paria (puh-RYE-uh) Canyon and the Coyote Buttes area. You're going to see scenic views of towering cliffs and deep canyons. 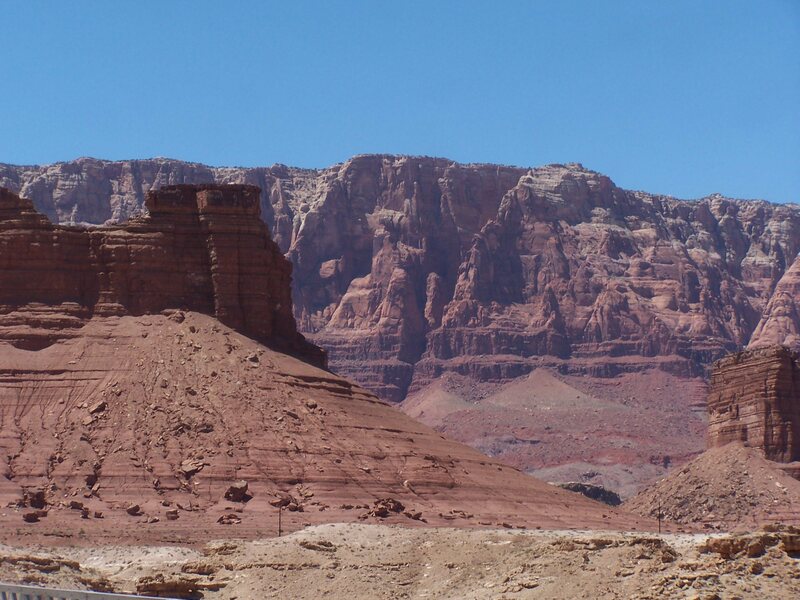 Paria Canyon offers an outstanding five-day wilderness backpacking experience. Visitors may be lucky enough to spot big horn sheep and California Condors. Information is available at the Paria Contact Station located just outside the monument in Utah along Highway 89. The Vermilion Cliffs rise 3,000 feet above the southern edge of the Paria Plateau to form a spectacular sandstone-capped escarpment supported by multicolored, actively eroding, dissected layers of shale and sandstone. This is undeveloped wilderness, folks. There are NO paved roads in the Monument's 280,000 acres, so if you come hiking, come prepared to bring everything you need. There is no visitors center per se, just a contact station (manned by two friendly and knowledgeable Rangers when I visited), but it has plenty of maps and the Rangers are ready to offer advice for the best trails. Interestingly enough, the contact station is outside Monument border by a few miles, in Utah, along Highway 89. This happens to be the only practical way to enter the Monument. Visits to the Monument require special planning, for potential hazards exist in spades. There are rugged and unmarked roads, poisonous reptiles and insects, extreme heat and/or cold, deep sands and flash floods. If you're driving on unpaved roads be sure to bring plenty of water and gasoline and food, and a spare tire. Stay on the main roads and take current maps with you. Regarding the stamp for your passport, you must remember this is NOT a National Parks Service Monument. The Passport over which I rave does not list this as a National Monument, which I happen to think is awfully elitist of them. Nevertheless, the contact station DOES have a stamp, albeit different in appearance than the stamps I was used to. But a stamp is a stamp, yes? Yes. From Page, Arizona, take Highway 89 west about 35 miles. From Kanab, Utah, take Highway 89 east about 44 miles. The contact station is on the south side of the road. Let me take a breath. Okay. 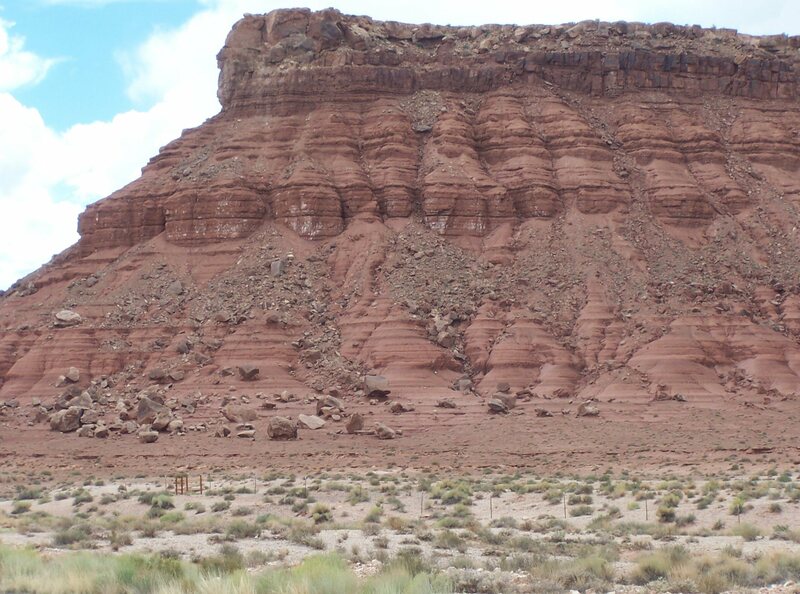 Directly east, about 60 miles away, is Pipe Spring National Monument. Directly south is Grand Canyon National Park. To the east, about 30 miles away, lies Glen Canyon National Recreation Area, or Lake Powell, as I call it, which includes Rainbow Bridge National Monument. 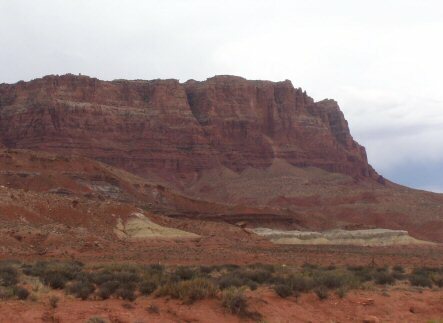 Further east, about 80 miles, lies Navajo National Monument. Moving counter-clockwise into Utah, we come across Grand Staircase-Escalante National Monument directly to the north, and Capitol Reef National Monument just beyond it. On the other side of Grand Staircase-Escalante, northwest of Vermilion Cliffs, is Bryce Canyon National Park. Further west of Bryce is Cedar Breaks National Monument, and south of that is dramatic Zion National Park. Almost to the Arizona border, just north of Pipe Springs NM, is interesting Coral Pink Sand Dunes State Park (Utah).